Marketers need to become “chief variation officers” if they wish to win the customer experience revolution they’re fighting in right now. 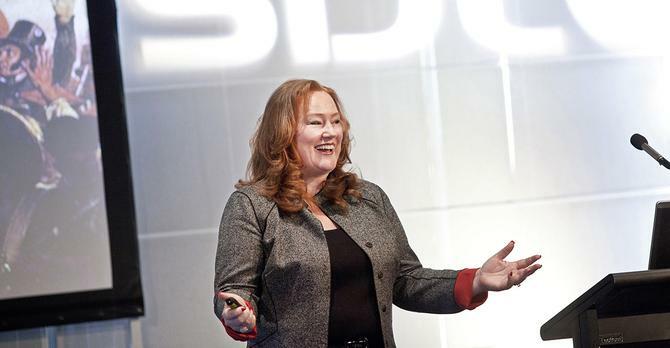 That’s the belief of SDL chief revenue officer, Bernadette Nixon, who opened the customer management technology vendor’s Sydney event today by looking into how brands, large and small, can better tackle the ever-rising expectations of their customers. According to Nixon, customer experience is being driven by three significant trends: Omni-channel, globalisation and social. Nixon said customer experience comes from building relationships based on trust and value, and pointed to industry figures which state that it takes two years on average to gain brand trust. “Trust is a precursor to any relationship,” she said. “If it takes two years to do that, then it’s taking more than five years to get more than an average share of wallet from that customer. Globalisation, social and omni-channel are vital in driving better customer experiences, and all are about marketers interacting in a more contextual way, Nixon continued. “But it’s amazing how often it’s not done,” she said. “Often it’s lots of little things that get in our way; the systems, sometimes the marketing organisational structure. Nixon also presented SDL’s methodology for tackling modern customer experience, broken down into three imperatives. The first is data-driven personalisation, and using analytics and data to better understand customers both in terms of their buying journey as well as commitment. “Use that information to really inform what you’re doing with your digital strategy and multi-channel communications,” she said. The second piece of the puzzle is “applying customer mandates”, Nixon said, while the third is perfecting a frictionless customer journey. “You need to figure out what is the low hanging fruit is so you can impact that,” she added.